Gundy's Garage & Towing was established in 1999, is trusted and reliable, will always stand behind its work, and is​ here to stay. 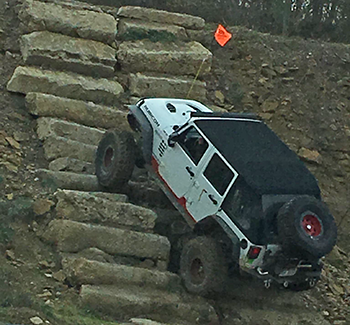 Gundy's has kept you on the road for years—Now they will keep you off-road too! Gundy's Garage Offers Vehicle Repair Services You Can Count On! Gundy's Garage has offered complete and thorough vehicle repair services to the Whitehall and Montague community since 2000. Our sole objective is to offer the best vehicle repair services possible at affordable prices. We want you back on the road as soon as practicable. Make One Call, We Can Handle It All! Our trained staff have many hears of experience servicing both domestic and import cars and trucks. We are single-minded in our goal of working with you to discover the most cost-effective solution to service, maintain, and repair your vehicle. To learn more about the wide range of services that we offer, visit the About Us or the What We Do pages of this website. If you have any questions, please use the Contact Us form on this website, give us a call at (231) 893-2163, or visit our shop. 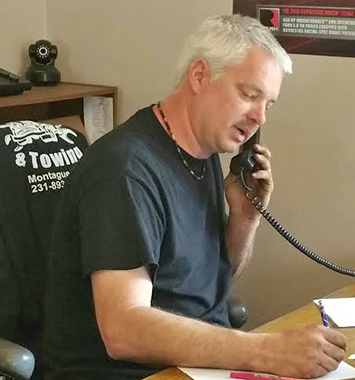 Gundy's Garage & Towing wants to earn your business by earning your trust. We will keep the needs of you, our customer, first. We will advise you of any areas of concern that may be safety related or warrant re-inspection in the near future. After a thorough inspection or your vehicle, any required repairs will be discussed with you for your understanding and approval. No repairs will be performed without your informed consent. We will perform only the repairs your vehicle requires. We will install only the highest quality, name brand parts at fair prices. All parts installed by our professionally trained technicians will meet or exceed original equipment specifications and will be backed by our North American Warranty. If there is something you want to know about your vehicle, or the repairs we are performing, Just Ask! We Will gladly answer your questions. By keeping this pledge, we hope to establish a long-term relationship with you and your vehicle. The better we know your vehicle and your needs, the better we can serve you. We want you to be a part of our family. Thank you for your trust … and business. We have answers. Visit our Questions page.